Aldi, U.K. edition, sells more than 12,000 bottles of gin every day. It sells seven bottles of whisky per minute. Those statistics come from the Independent, but the paper neglects to employ the technical term for that amount of alcohol. So perhaps the fact that the chain is now introducing a home delivery service for its spirits should come as no surprise, and yet, here we are, surprised. 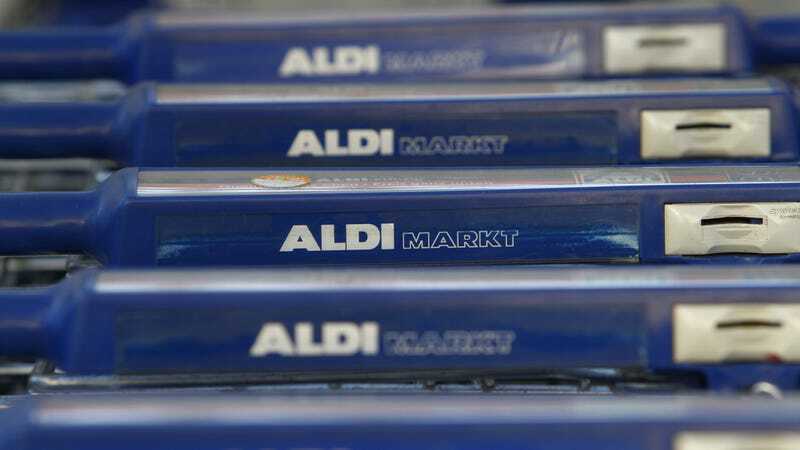 Aldi is killin’ it over there, and we here in the U.S. are mighty jealous. The service is part of the chain’s online wine store, which has been open for two years. That store now includes 20 spirits and offers the option to create-a-case by mixing and matching spirits and wine. Orders are then delivered either right to the purchaser’s door, or to a Collect+ location. Same-day delivery isn’t on the menu just yet, and orders instead arrive the next business day. There’s also no minimum order (except where a minimum is required by law, in Scotland). The service is up and at ‘em today, so readers across the pond are welcome to stop reading this and order some award-winning whisky, just to make us jealous.